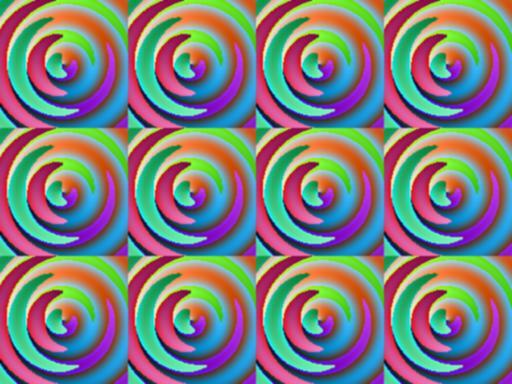 Hypnodisk is a pseudo-psychedelic screensaver takes your screen for a spin. The screen is filled with rotating tiles that slowly start to spiral. You can set speed, frequency, size and separate colour channels.